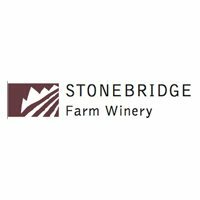 A micro-winery vinting only wines from hybrid grape varieties grown on the redstone soils of Stonebridge FarmJohn Martin helped plant some of the first vineyards in the Willamette Valley, Oregon in the 1970’s. In 1992, he and Kayann Short founded Stonebridge Farm CSA, two miles east of Lyons, Colorado. In 2002, John and Kayann planted a small vineyard to trial cold-hardy wine grapes for the Front Range of Colorado. To date, they have planted sixteen different varieties.